– Stick RPG is an open world online game by XGen Studios,which lets you make some decisions of your own. 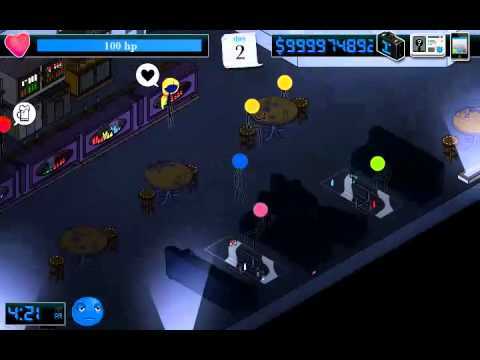 This amazing stick game has got some very interesting maps.You can use the bus depot to change cities,use the bank to deposit or withdraw money.Stick RPG has even got a pawn shop where you can buy a knife or a gun if you want to be the bad guy.Just walk into the buildings through the pathway provided.There are restaurants,casinos,bars,etc.But before you could do all this,you need to earn some money.You do get $100 by default as soon as you start playing the game.But this amount of money won’t be enough if you have got ambition.Earn as much money as you can by working as a janitor or a cook.You can join a company and start working there.You can get a promotion by increasing your “intelligence points”, which you could earn at the “Stick University” by studying.Here again,you would have to spend money.Education doesn’t come for free after all. – Another interesting feature of Stick RPG is that you own an apartment.There are cars running over the entire town and they don’t apply brakes when you are right in front of them.Accidents are sure to happen which makes you loose health.I suggest you go to your apartment and sleep.This not only improves your health,but also gives you time to work or study.You will find a blue color clock on the top of the game display.As soon as the clock turns red,it means you do not have any time left to do any task on that particular day.You must go and sleep in your apartment as you do not have any other option. Stick RPG allow you to hijack cars. Just go near a stationary car and left-click it.You can steal the car if you are smart enough.You can make a conversation with random people you find on the streets.Do the same thing as you did in the case of cars.Left-click on the stick-head and they begin to talk to you.They might ask you some particular things like smokes or money.If you give them what they are asking for,you might get something in return. – The only thing I would like to say about this game is : Do not judge the game by its’ graphics.Just go ahead and give it a try.It is not only interesting but also teaches the player some decision making skills.At the end of the day,all you need to do is make as much money as possible. Hey, Hey, Hey – Happy Wheels! What an amazing game to play online!